A Slice of Life: : It Made My Day! : It Made My Day! JennyR gave this award for my blog few days ago and me being busy I forgot to post this then. I have known Jen (may katukayo) for quite some time now and she is also a member of our forum (digiscrapping forum). Thanks Jen, it made me smile and it is nice knowing that you love my blog. 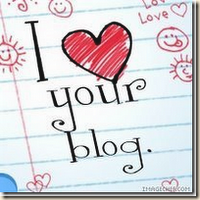 I also have blogs that i love and I always read most of the times.